Quebec and secularism are tightly bound together in the Canadian political imagination. From the Bouchard-Taylor Commission on reasonable accommodation to the Parti Québécois’ abortive 2014 Charter of Values and last year’s Bill 62 (passed into law by a Liberal government), the implementation of a secular vision of Quebec society has been an important political debate over the last decade. Quebec politicians on the left and right, sovereigntist and federalist alike, see religious neutrality as a key element of the province’s political culture. The Anglophone media and politicians in the rest of Canada have had an uneasy relationship with Quebec’s efforts to legislate public secularism. On the one hand, there is (most of the time) a healthy respect for Quebec’s national institutions and autonomy, and for the concept of religious neutrality and secularism. On the other, however, there is legitimate concern for the rights of ethnic and religious minorities in Quebec who wish to continue to wear religious garb in public. This story, or one much like it, is the story Quebecers tell themselves about their own history. It adequately summarizes the feelings of many Quebecers towards the Church: an ogre standing athwart our history, stealing children and ruining families, until it was slain in a social shift whose crowning moment was the 1960 provincial election. Accompanied, of course, by the ascendancy of an activist and secular social democracy, a new political consensus whose substance would dominate Quebec politics for a generation, and whose symbolism endures. The notion of a clean break with the clerical past, along with its values and trappings, is central to the political self-conception of Quebec today. 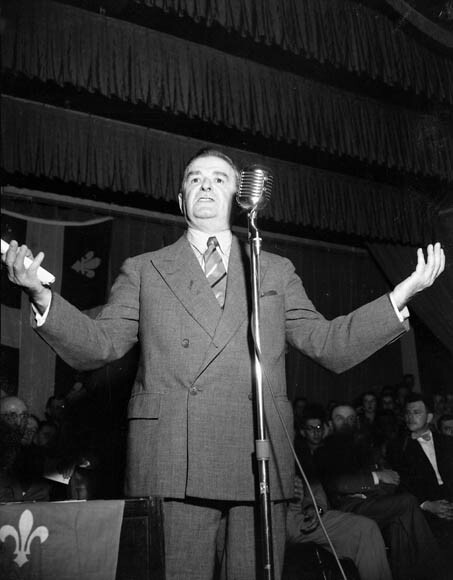 The term Grande noirceur, used to refer to the era from the 1930s to the 1950s when Maurice Duplessis was premier, is a good indicator of how Quebecers think of their pre-Quiet Revolution past. I don’t think, however, that the popular view of a relatively clean break between clerical and secular eras of Quebec’s social development is strictly accurate. 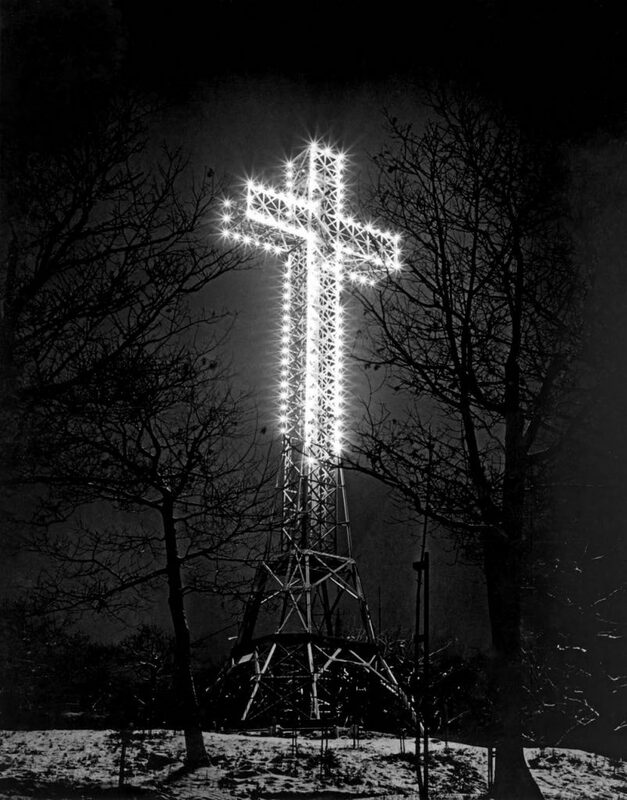 There are the obvious hypocrisies, the most visible blemishes in Quebec’s claim to strict secularism à la française: namely, the crucifix prominently displayed in the National Assembly and the enormous cross on Mont-Royal. But beyond that, the notion of a secular political class and a popular consciousness to accompany it, leaping fully formed from the brow of Maurice Duplessis’ Grande noirceur like our own Athena, is not well borne out by close examination of two important mid-century intellectual legacies. The first is that of the Quiet Revolution itself, and the second that of the dissident but influential strain of Catholic social teaching peculiar to Quebec that rebelled against Duplessis’ excesses and hypocrisies and inculcated the future political leadership of the Quiet Revolution with its values. With regard to the Quiet Revolution, I won’t delve deeply here, pausing only to note once again that it was both incomplete and slower to take than many people seem to believe. Lisée noted this in his piece: “It was only 20 years ago that Christian school boards were secularized and only 10 that Catholic and Protestant classes were moved out of the schools and into the churches.” As a personal example, I was born in 1992, and received at my birth a certificate of birth and baptism from the parish of St-Theodore-de-Chertsey instead of a birth certificate from the Province of Quebec. Clearly, Catholicism was not torn out of Quebec society root and branch. It remained intertwined with the machinery of the state even within the living memory of reasonably young people. I’d like to talk more at length about the legacy of Catholic social teaching in Quebec before the Quiet Revolution, because I think it is much more pertinent to the Quiet Revolution and the ‘secular’ social democratic state it spawned than most people imagine. There is a striking current of solidarity (with enormous limitations around race, culture, and religion) in Quebec politics that emerged as a response to the papal encyclical Quadragesimo Anno in 1931. This encyclical was itself a response to the crisis of liberal capitalism that the Great Depression had precipitated. The episcopal hierarchy commissioned a Programme de restauration sociale in 1933, which was adopted wholesale by a short-lived breakoff party from the Liberals, Action Libérale Nationale, and then by the Union National when it was formed as a merger between the ALN and Maurice Duplessis’ Conservatives. This program is surprisingly forward-looking. It diagnoses the sources of suffering in Quebec as “uneven distribution in the economic sphere” and “the greed of high finance,” and praises the Roosevelt administration’s response to the Depression. Its proposals included support for agricultural cooperatives, final abolition of seigneurial tenures, ending child labour, rudimentary hospital insurance, raising the minimum wage, breaking the utility monopolies, ethical reforms for ministers and members of the National Assembly, and several other reforms that would not have been out of place in a contemporary CCF manifesto. People as different as Camille Laurin (René Lévesque’s Minister of Education in the first Parti Québécois government and architect of Bill 101) and Claude Ryan (a future editor of Le Devoir, leader of Quebec’s Liberal Party, and Minister of Education under Robert Bourassa) both spent their formative years in explicitly political Catholic youth movements that informed their values of social solidarity. Jean Lesage, at the beginning of a July 1960 conference with the federal government, brought with him a copy of the Report of the Tremblay Commission, a fascinating document that elucidated a complete theory of federalism and political economy along lines heavily inspired by Catholic social teaching, co-written by one of the authors of the aforementioned Programme de restauration social. So much for slaying the ogre. Secularism in Quebec, such as it is, is inextricable from the under-examined Catholic legacy of the Quiet Revolution and the ideology of maîtres chez nous. The notions of civilizational defence and cultural preservation that were at the heart of the corporatist politics of the Duplessis era have not vanished: they have retreated from the altars only to regroup around Québécois culture and the French language. In that context, I think it’s important to see the call for strict secularism as what it is: essentially a graft onto an existing current of social and political thought, informed by French notions of republican laïcité (that have, in my view, proven a dismal failure in France) and skepticism of multiculturalism, rather than an integral element of Quebec society and Quebec’s political thought since the Quiet Revolution. strides in assuring Quebec’s continued confidence in a federal future through dialogue and decentralization. But we cannot base a relationship of mutual respect on paternalistic head-patting over cherished historical myths. Laurent Carbonneau graduated from the University of St Andrews with a Master’s in Intellectual History in 2015 and from Carleton University’s Master’s of Political Management program in 2017. He co-hosts The Boys in Short Pants, a podcast about federal politics and the nuts and bolts of life on Parliament Hill.